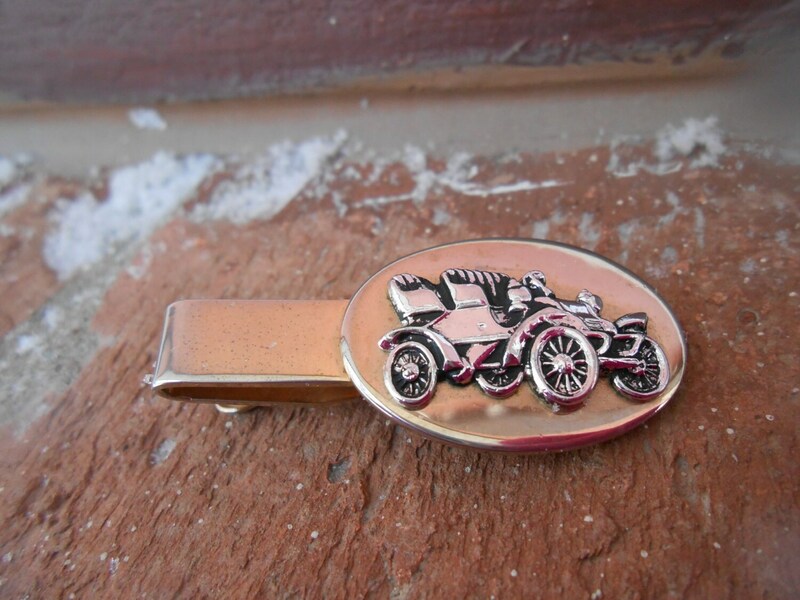 Vintage Antique Car Tie Clip. Wedding, Men's, Groomsmen Gift, Dad. Valentine Gift. 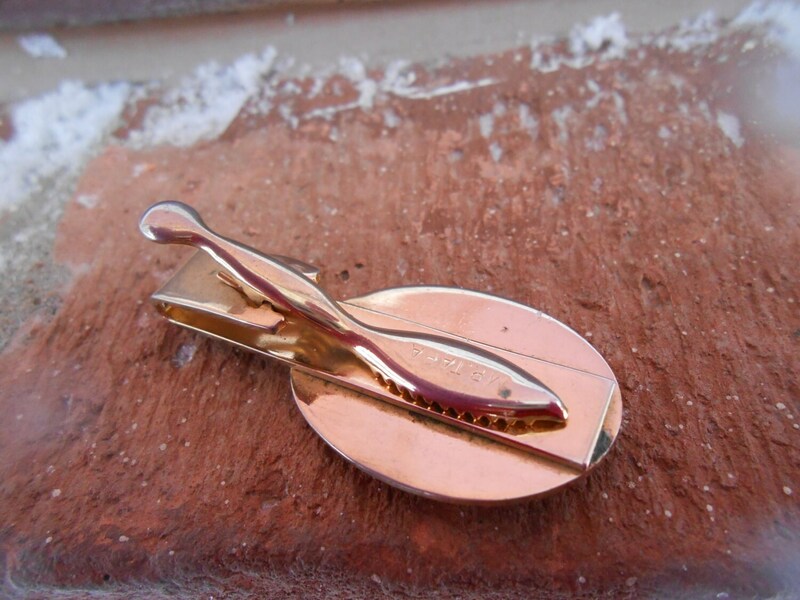 This vintage tie clip is really cool. 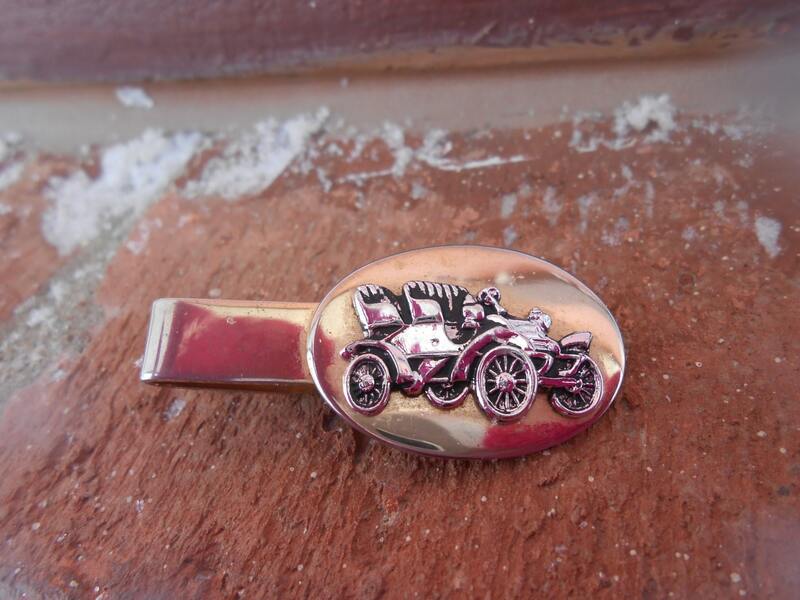 It is a gold tone and has an antique car on it in silver. 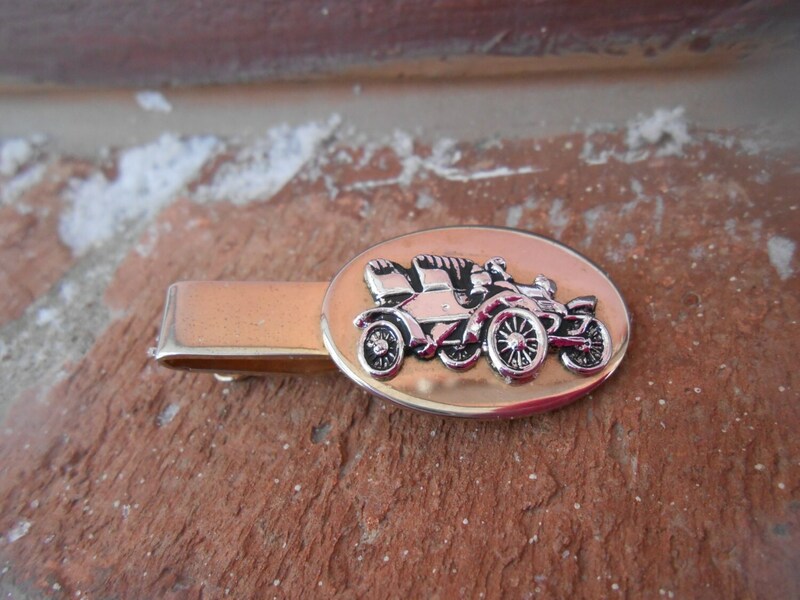 The tie clip is from the 1970's and is in good condition. :) It measures about 1 3/4" long. This would be great for any time of the year! 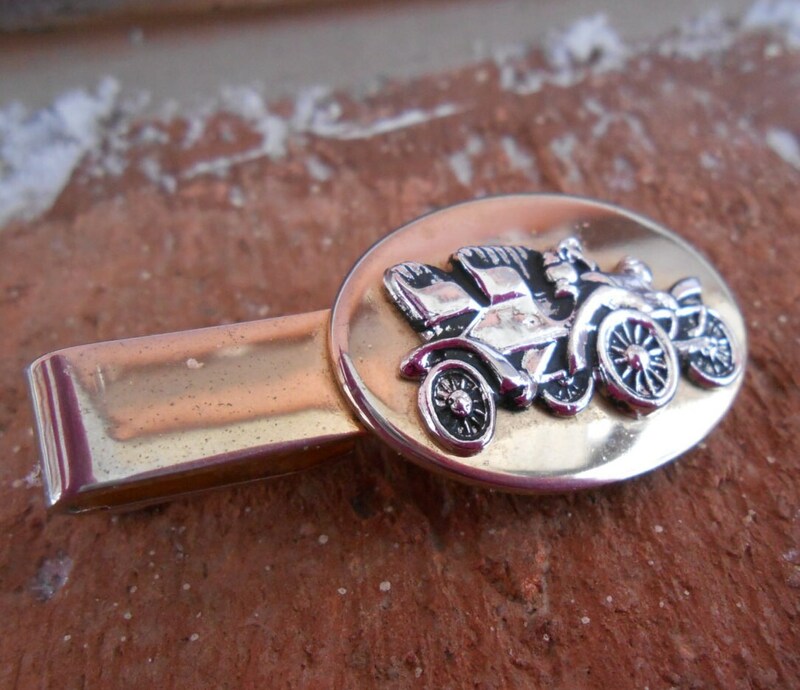 Wear it for a wedding, give it for a groomsmen gift, for Father's Day, or a birthday. ***See my store for gun cufflinks, bullet cufflinks, deer cufflinks, etc.